Welcome to Candles By Janine. I would like to tell you a little bit about us and what we do. All our candles are hand made in Leeds West Yorkshire in our workshop, not by machines. We make highly fragranced scented Jar candles in small, medium & large. 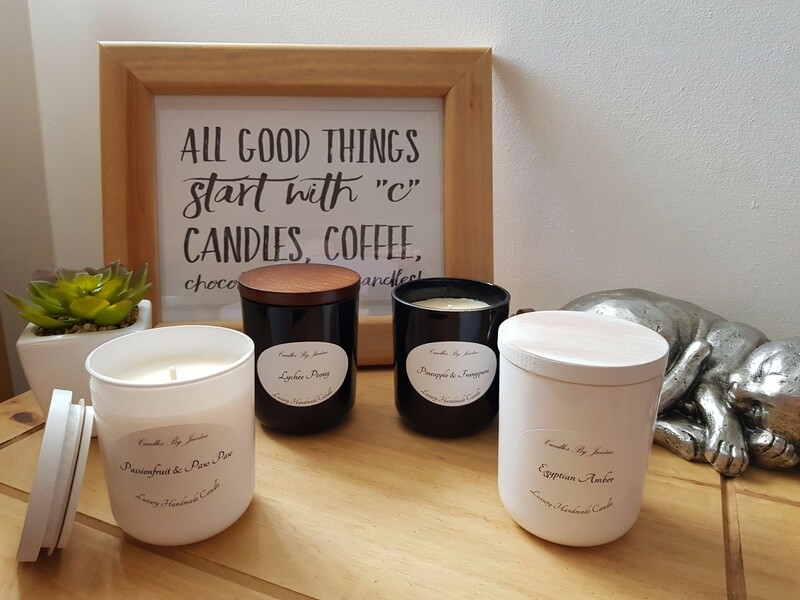 We make pillar candles, rope twist taper candles, wax brittle, wax clams, designer fragrance clams, triple wick scented candles, designer fragrance tin candles, crackling wooden wicked candles, highly fragranced wax melts, melt aromapots, room sprays and car diffusers! 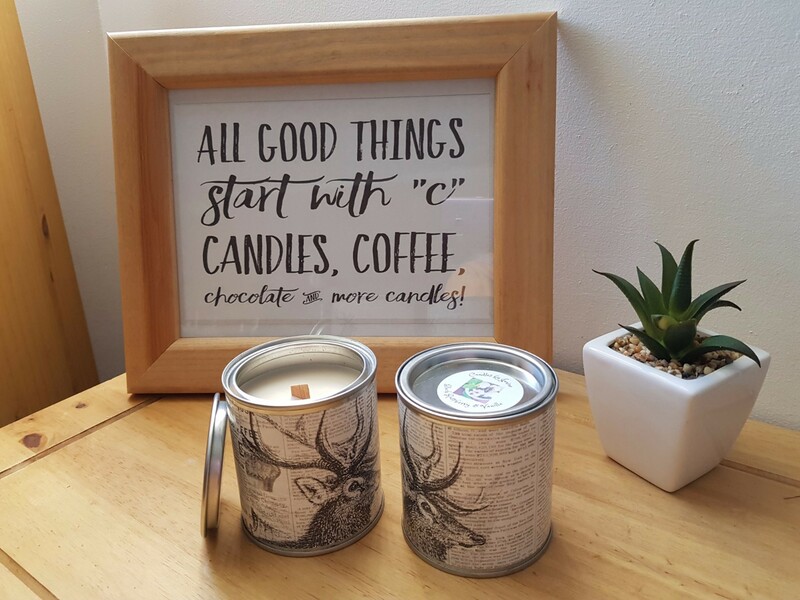 You name it, Candles By Janine make it! 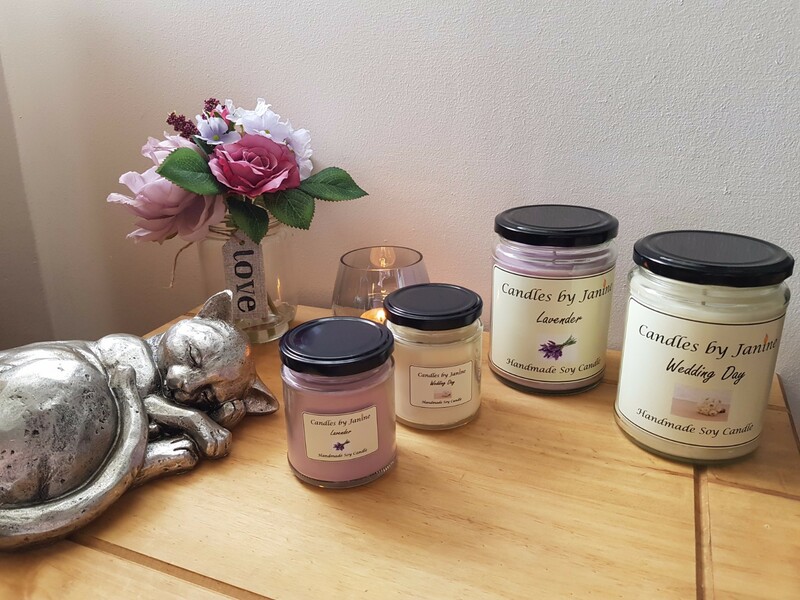 Our homemade candles boast the perfect mix of high quality fragrance oils to fill your room with fragrance. 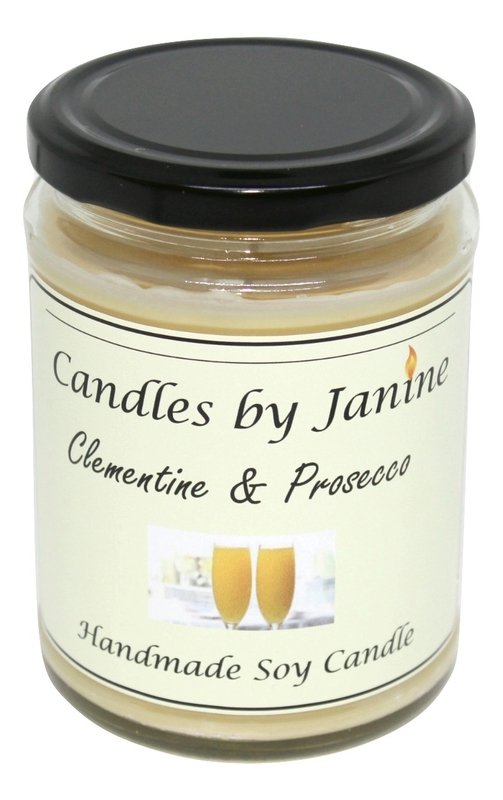 We are fortunate that Candles By Janine customers are not one off customers. They purchase once and then become a customer for life by repeat purchases. They do this because of the uniqueness in what we have to offer. The personal touch in our products. Our Blog Check out our blog! Available in small, medium or large, our highly fragranced scented jar candles boast a generous amount of fragrance per Soy wax candle. Each scented jar candle is vigourously tested by ourselves to give the perfect sized burn pool to release the fragrance to fill any size room, combined with the highest quality Soy wax on the market and the perfectly sized wick to suit the candle, we present to you our range of highly fragranced long lasting bespoke Soy wax candle Jars. This quality range of bespoke hand made scented designer fragrance candles is exactly what it says on the tin!. A designer fragrance in a tin with a perfectly matched wooden wick to create the perfect burn pool for maximum fragrance release, Our designer fragranced candles are based to smell similar to the markets leading designer perfume fragrances. Please remember though, these are not actual perfumes, just similar to. These Signature fragranced candles make the ideal present on any occasion, the sleek modern look of the candle jar combined with the unique powerful fragrance scent released from the candle combine a mind blowing experience gift for the receiver. Fancy something different ? A large, long lasting, burning centre piece on the table for a special occasion?. Look no further than the Candles By Janine triple wick candle complete with chrome polished lid. Pure beauty does not get any finer! Three wicks strategically aligned in a Bermuda Triangle Formation within the circumference of the vast size of the circular triple wick jar. We blended a new fragrance to wax formulae especially for this triple wick beauty to create a new style of simultaneous fragrance released to take onboard the three wicks. They say seeing is believing, we say smelling is believing! Ideal for tea light or electric warmers, we present to you our range of Soy Wax Melts, Aromapots & Wax Brittle bags. Simply place on the top of your wax warmer, sit back and enjoy a slow tranquil fragrance release from the beginning while you entertain or simply relax in front of the TV. Our range of melts are almost infinite on exasporation, they simply last for an eternity within the melt burner meaning you can re melt for hours. Exceptional value for the money. Simply sample our product and see for yourself. It has the Candles By Janine stamp of assurance! 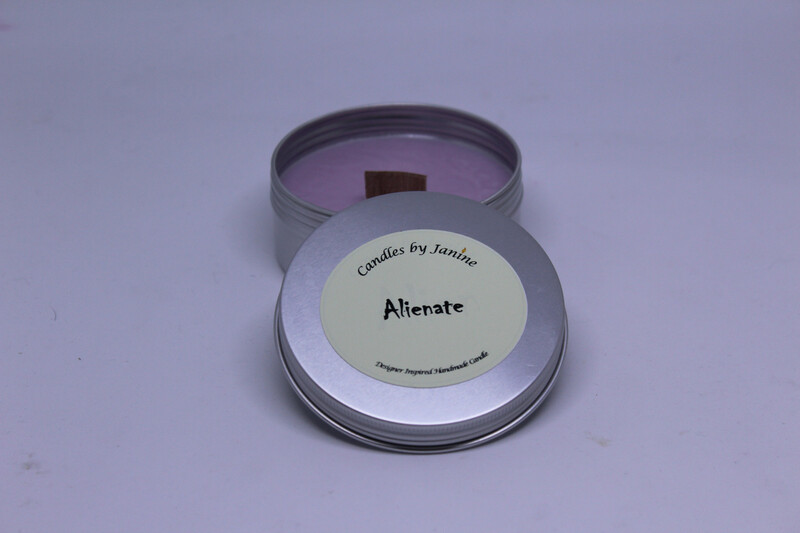 Our bespoke pillar candles are made and shipped worldwide, yes worldwide! From London, L.A and Dubai! To cater for celebrity to Royal events. We ensure the best pillar candles can be made to cater for your event too. We specialise in producing pillar candles for weddings and events in large quantities. We make a comprehensive range of pillar candles including the new Roper Twist Taper candle unique to the UK. Our Pillars are made from the finest of paraffin wax blend on the market and boast a smooth finish. Choose from a Himalayan melt warmer with it's natural healing benefits or a smooth contemporary clay warmer. Both burners have removable dishes on top and work with a tea light. Clay warmers can be plain or with an added custom decal. Looking for something different? This is the category for you. From a tea light to a pyramid candle, there is something for everyone here. Take a look at the gallery and decide for yourself. You will find things for all occasions in here. A 250ml tin wrapped in the yesterday's news style design. With a crackling wooden wick. Who doesn't like the sound of a crackling fire? These wooden wicks are an innovative alternative to a cotten wick. They burn cleanly and disperse fragrance excellently, whilst providing soothing crackling sounds. Gorgeous candle, really lovely smell that’s not overpowering. Highly recommended! Purchased a candle in Marshmallow. Really loved the smell. Even scented the room long after it had been blown out and seems to last forever without going down much. Cute little jars, well labelled with all safety warnings. Great product. Will repurchase. Thanks. Wonderful scent, really happy. Very good value. Thank you very much! Love the smell of the melts I have bought not used the candle as I have bought it for a Christmas present, but it does smell gorgeous. Gorgeous candle, I will be back! Very pleased with my Marshmallow square candle and the service was excellent also. Christmas Tree and Gingerbread candles smell lush! Many thanks. Smell fills the room! Lovely. Ace candles! Absoloutely love them! Every scent is glorious. Well done Janine, 5 stars. keep on doing more scents. Love these candles best smells, handmade & cheap. These are well worth every penny, candles actually smell gorgeous, their aroma fills the room, and they actually burn right to the bottom of the wick, no left over wax, so burns all the way, very pleased with them will be buying more.